Good morning friends! we have lots of new custom design wedding invitation cards this month of March. Our designers are working hard to come up with the bespoke designs. 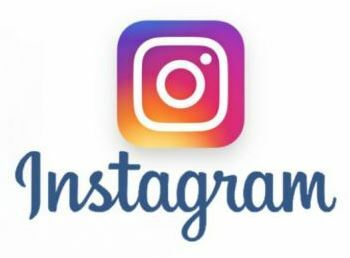 Each of our clients have their own theme and designs in mind. After lots of sharing and discussions via emails and whatsapp, our team of designers came up with designs as requested. This watercolour leaf design has an autumn feeling with gold stamping finishing. The bride and groom names are done with gold stamping to make it outstanding from the wedding card. Personalizing your own wedding cards give you a one of its kind design. Are you looking for a new custom design for your wedding invites? Do get in touch with us at info@purplecollection.net for an affordable card printing and design. 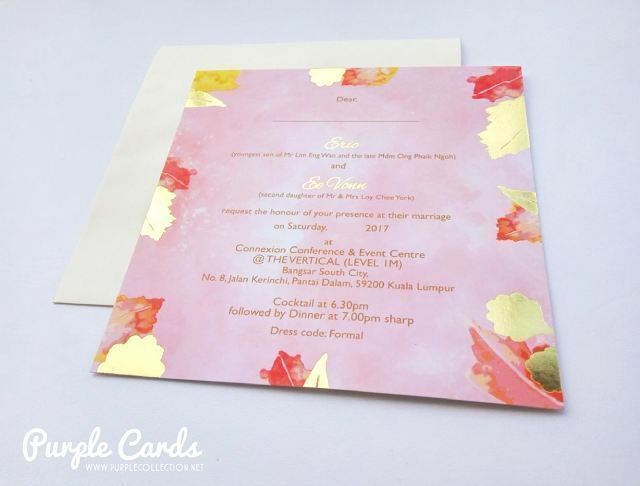 Besides printing the wedding cards, our company is also printing invitation cards for corporate companies such as annual dinner invitation cards, product launching invitation cards, business cards, etc. 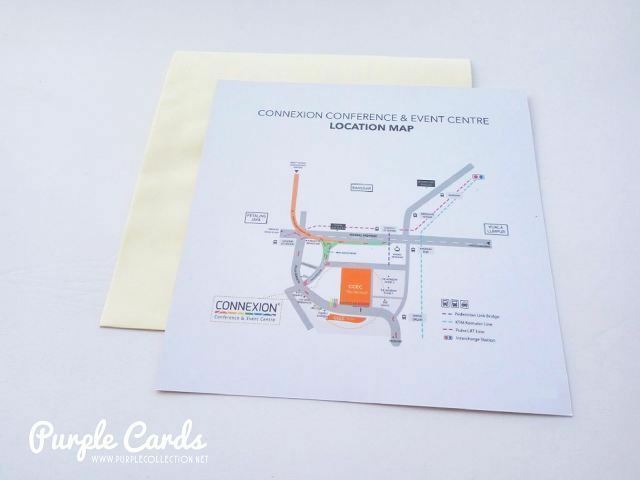 The back of the card is printed with a location map to the Connexion Conference & Event Centre. This wedding card is a front and back print on art card 260grammage with matt lamination finishing.